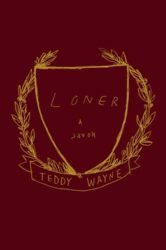 The following is from Teddy Wayne’s novel, Loner. Wayne is also the author of The Love Song of Jonny Valentine, and Kapitoil. 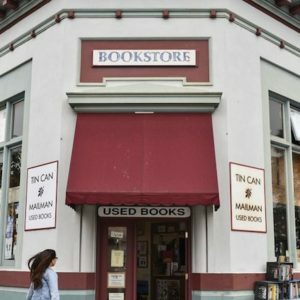 He is the winner of a Whiting Writers’ Award and an NEA Fellowship as well as a finalist for the Young Lions Fiction Award, PEN/Bingham Prize, and Dayton Literary Peace Prize. He writes regularly for The New Yorker, The New York Times, and elsewhere. After a prolonged, maternally teary farewell—Mrs. Zenger smothered even me in her arms and assured me I was about to have the best year of my life—Steven invited me into his room. Nestled into a bean bag chair, he linked his hands behind his head, his collared shirt’s elbow-length sleeves encircling hangman-figure arms. When the Harvard application solicited me to write about a meaningful “background, identity, interest, or talent,” though, I was reminded of that summer I felt genuinely special. “To continuously reflect the world in a linguistic mirror,” I postulated in the essay, “is to question the ontological arbitrariness of everything and everyone. Why is an apple not an elppa, nor, for that matter, an orange? Why am I me and not you?” I titled it “Backwords” and typed the whole thing in a reverse font and word order (by line), preparing to mail in a hard copy so that the reader needed to hold it up in front of a mirror. My parents, however, feared the admissions committee would think it was gibberish. Bowing to prudence, I compromised by writing the body of the essay normally and changing just the title to SDROWKCAB. “Well, I should probably find a place to sit,” Sara said, and wandered off. You sequestered yourself against a wall, arms crossed over your chest, the only student without a lanyard. You were here because it was compulsory, not to make friends. You had no interest in present company, didn’t need to manufacture an affable smile and hope some generous soul took pity on you. No, you weren’t one of us at all. You were in a tribe of your own. From LONER. Used with permission of Simon and Schuster. Copyright © 2016 by Teddy Wayne.